Our Aim: Continual Improvement of Maintenance Services to Exceed our Customers' Needs. Our offices open at 6:30 AM every work day and close at 3:30 PM. We are located at the J. E. Hall Center, 30 East Texar Drive, Pensacola, Florida, with a small North County shop located in Walnut Hill at Ernest Ward Middle School. Routine maintenance requests should be submitted through the District's work order system. 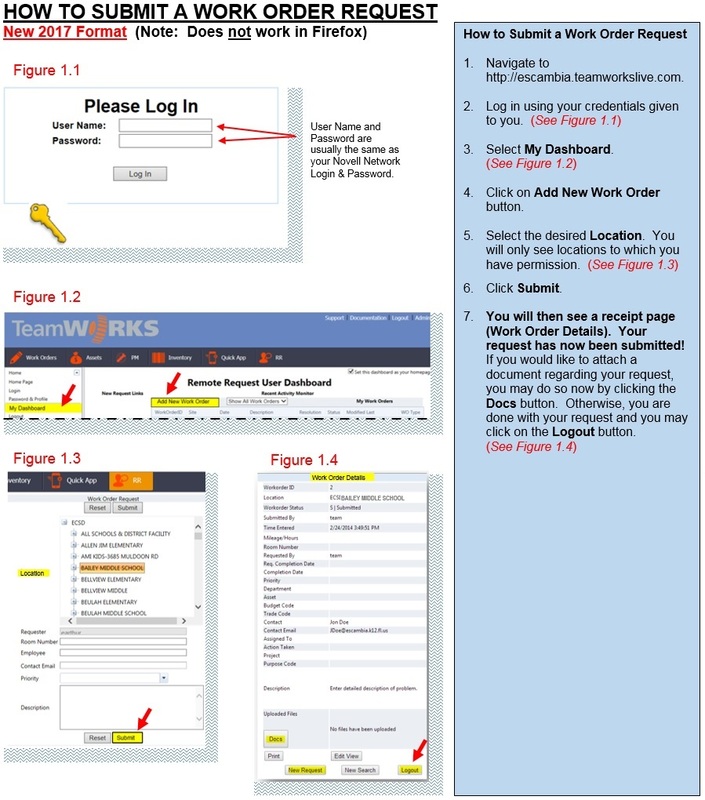 Click here to access the work order system. Please call (850) 469-5586 to check on the status of a work order. To report extreme emergency situations (those jeopardizing life and facility safety) between the hours of 6:30 AM and 3:30 PM, please call (850) 469-5586.